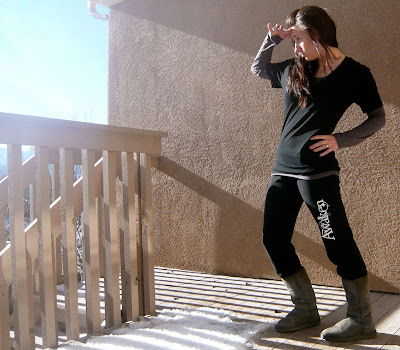 Stilettos & Grace: Random Outfit Post: Keepin' it real... yo. This is one of those posts where I want to write something deep and pensive. It's the time of year where I have so many things stirring in me that I don't even know what words to use. Just because I haven't been posting very often doesn't mean I'm short on topics or concerns or statements I want to declare from the mountain tops. On the contrary, I'm so full of them I may burst! Yes... a Random Outfit Post. But, we're all about keepin' it real 'round these parts... yo. 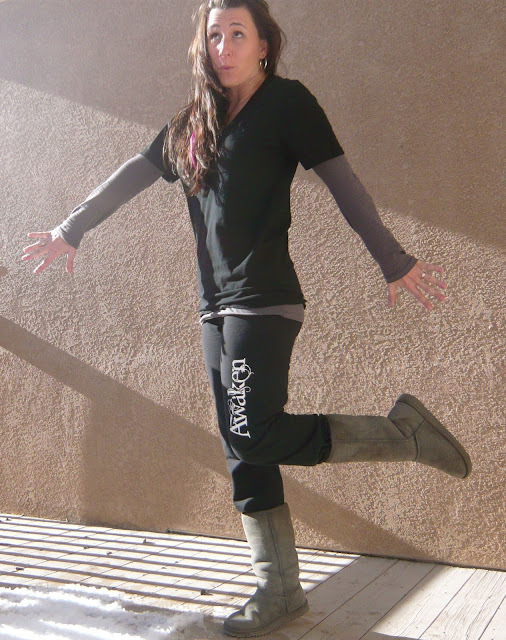 And if you've ever been around me for any length of time, you know I'm a sweat-pants kind of girl. Or, in this case, yoga pants. And some days just call for wearing them out and about. Yoga pants: from the Awaken Conference... that if you weren't at you missed OUT!!! Fake Uggs: Costco, baby!!! Best ev-ah. Plain silver hoops from I-can't-remember. 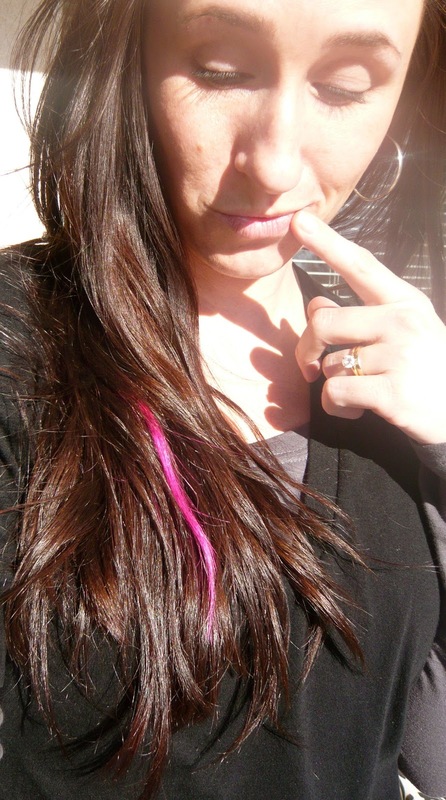 Now, you may notice that pink strip in my hair. I've actually had that since September, and the other day I accidentally pulled it out! Boo. It's an extension, and I re-dyed it a few times. But I love having a little funk in the flavor of my everyday. We're all about real women living real lives on this here blog, so this is just me being real and posting real outfits... yo. Maybe I'll be able to organize my thoughts more as we head into 2012.